The Progressive Materials Pro Eco Sil HS 3200 is a perfect solution for a roofing repair coating. It’s solvent free, and can adhere to almost any material. Not for application over SPF. Pro Eco Sil HS 3200 has high solids and low VOCs. Its the green, moisture-curing, one component silicone roofing solution. The Pro Eco Sil HS 3200 is Progressive Materials solvent-free silicone roof coating. It can be used on various single-ply membranes, existing smooth surface BUR, wall-adhered acrylic coating, metal, granulated gap sheet, and concrete. This silicone coating option provides long-term protection, from it’s high resistance to various weather conditions including, wind-driven sand, snow, the effects of the ozone, snow, aging, ultraviolet radiation, temperature extremes, and oxidation generally found on roofs. With a very high solids content and no hydrocarbon solvents, this silicone roof coating can be applied without blistering, and it will maintain maximum adhesion, even when applied at more than 40 mils. SUPERIOR TO ACRYLIC. Our HS 3200 is superior to acrylic in 4 ways. Prep times are shorter, and they cure 80 times faster than acrylic. 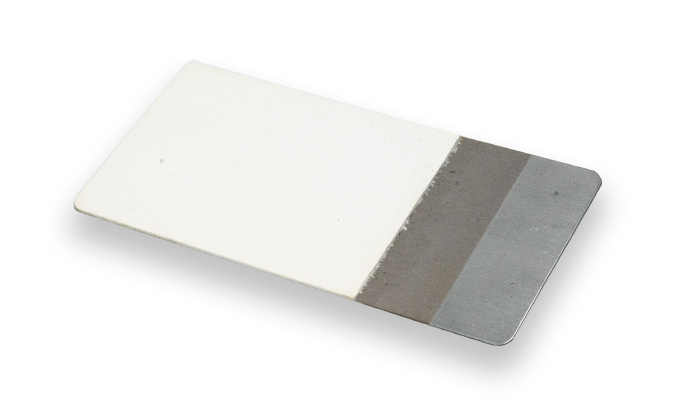 Acrylic coatings can’t withstand the harsh weather conditions like our silicone coatings can. Silicone won’t wash-off because it’s moisture curing, not evaporative curing like acrylic. And silicone is the lowest VOC roofing product. It will last longer than acrylic, which leads to far less environmental impact. NO PRIMER NECESSARY. 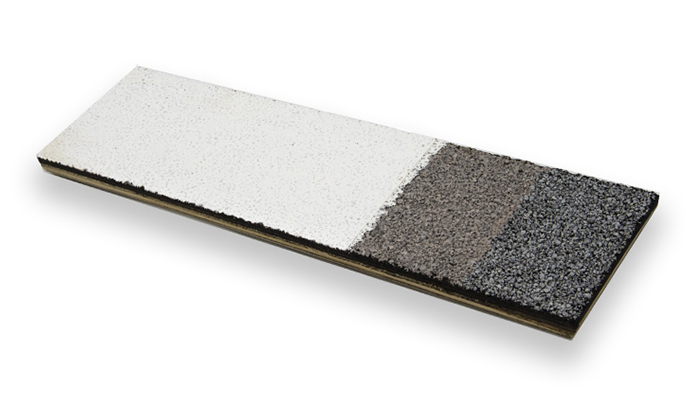 HS 3200 can be spray or roll applied over concrete, single-ply, smooth bur, metal roof panel, and modified bitumen without a primer. COLORS GALORE. It’s available in tan, white, gray, light gray, barn red, colonial brick, dark brown, slate blue, black wow, so many colors! NO MILDEW. Our silicone roof coating will not allow mildew to grow, and so we don’t have a mildicide in our product. SLOPED ROOFS, NO PROBLEM. Our roof coatings are specially formulated to decrease runoff, once applied. Our silicone roofing solution is optimal for both flat and sloped roofs and maintains their protective qualities and integrity. FAST CURING. Our silicone roof coating HS 3200 will cure in less than 24 hours, that’s 80 times faster than any acrylic roof coating. GacoFlex S2100 Series coatings are solvent-free, single-component waterproof elastomeric moisture-curing silicone coatings. GacoFlex S2100 is the only 100% silicone, solvent-free and cleanable coating in the industry to resist dirt pick-up even after years of exposure, thereby maintaining significantly higher whiteness and solar reflectivity than other silicones. S2100 offers the same benefits as other GacoFlex silicones, now with the added advantage of reduced dirt accumulation and improved clean-ability. S2100 does not contain crystalline silica and contains 37% recycled content – the highest in the industry. In addition, the use of S2100 on a job may contribute to LEED points. Gaco offers a 5-Year Energy Star Warranty on our GacoFlex S2100 Cleanable Silicone Coating. When properly applied, we guarantee S2100 will maintain an aged Energy Star rating for a minimum of 5 years – even over asphalt roofs. IMPROVED CLEANABILITY. S2100 Shows two times the whiteness retention, maintains a higher solar reflectance, shows 40% less dirt accumulation, and higher thermal emittance than other silicone coatings. WHITENESS RETENTION. GacoFlex S2100 allows roofs to dry more quickly with its water sheeting action. Reducing dirt and dust interactions with the coating, and keeps the roof whiter for longer. 5-YEAR ENERGY STAR WARRANTY. Our 5-Year Energy Star Warranty guarantees, when properly applied, it will maintain an Energy Star rating for at least5 years, even when applied over asphalt roofs. LEED POINTS CONTRIBUTION. GacoFlex S2100 has 37% of recycled content and contains no crystalline silica. Companies and municipalities prefer the use of products that will reduce your environmental impact and S2100 has the highest use of recycled content in the industry. The use of S2100 on a job might add to LEED points. HIGH SOLIDS. GacoFlex solvent-free silicone coatings are 95% solids. 95% of what comes in the can will remain on the roof. EXCELLENT FILM BUILD. Improved rheology provides better film build on high spots and over granulated or uneven surfaces. ADHERES TO MANY SUBSTRATES. GacoFlex S20 Series can is ideal as a maintenance coating system over existing elastomeric roof coatings, built-up roofing, weathered single ply membranes (EPDM, Hypalon, and TPO/CPA), metal roofs, mineral cap sheet, and sprayed polyurethane roofing systems, and more. HOLDS STRONG AGAINST PERMANENT PONDING WATER. This incredibly versatile coating is a fantastic choice for flat roofs. It’s extremely durable; it will not bubble, degrade or soften under permanent ponding water. GacoFlex S20 Series coatings are solvent-free, single-component waterproof elastomeric moisture-curing silicone coatings. 100% SILICONE. A single component elastomeric coating best for renewing your leaking and weathered roof. HIGH SOLIDS. GacoFlex solvent-free silicone coatings are 95% solids, and 5% a specialized curing agent. WORKABILITY. GacoFlex S20 Series can be applied to almost any existing roof and creates a one coat seamless membrane that can be rained on within 2 hours. DECADES OF PROVEN PERFORMANCE. All GacoFlex Silicone Roof Coatings carry a 50-year Limited Material Warranty. NO MORE COSTLY TEAR OFFS. Recoat your weathered roof with S20 silicone coatings, and you’ll extend the life of your roof, and dodge the inconvenience and cost of a tear off.